Forty years later and there’s still nothing like “The Texas Chainsaw Massacre.” Not a single film no matter how brutal has managed to be as unsettling and nerve rattling as Tobe Hooper’s masterpiece. It’s astonishing how Hooper’s master work hasn’t aged a day and still retains much of its raw guerilla filmmaking aura. The man and the cast suffered to make his horror thriller about maniacs in the South, and it shows through every single film cell. “The Texas Chain Saw Massacre” is a horror film I not only respect, but revere, if only because it bears such a realism to it that feels as if Tobe Hooper let loose a bunch of lunatics on an unwitting cast of actors. Much in the realm of Ruggero Deodato’s “Cannibal Holocaust,” there’s the sense that Hooper clings very closely to reality, and covers every single aspect of this vicious environment. You can sense the thick stifling heat, the horrific confusion and chaos, and Leatherface. Leatherface is still the wild insane rabid dog let off of his collar, free to roam as he pleases. Gunnar Hansen as Leatherface is still a terrible force of nature who spares no one, and inflicts immense punishment on the flower children. It’s interesting to see how Tobe Hooper doesn’t just provide a flawless masterwork of horror, but also manages to depict a very rotten and disgusting environment by sight alone. Every aspect of “The Texas Chain Saw Massacre” feels very aged and filled with years of decay, and Hooper is a master at creating so much out of very little. Hooper’s horror film is still an iconic artifact in grade A horror filmmaking, as well as building an entire narrative around chaos and pure anxiety. From Sally’s forced attendance at the family dinner, to her insane cackling in the final scene of the film as she bathes in blood, director Tobe Hooper’s film takes on a pulse all its own that’s yet to be duplicated or rivaled to this day. The 40th Anniversary Edition comes with four audio commentaries. There are about six hours worth of commentaries, with director Hooper sitting down with the surviving cast and crew of the film. There’s an audio commentary with Director/Writer/Producer Tobe Hooper, Actor Gunnar Hansen, and Cinematrographer Daniel Pearl, there’s a second commentary with Production Designer Robert Burns and cast members Marilyn Burns, Allen Danziger, and Paul A. Partain. There’s an audio commentary with Tobe Hooper, and finally a commentary with Cinematographer Daniel Pearl, Editor J. Larry Carroll, and Sound Recordist Ted Nicolaou. “Butcher Boys” is one half “Judgment Night” and one half of “Texas Chainsaw Massacre” but in an urban setting. With a rash of disappearances occurring all over the city, two groups of people find themselves lost in the ghettos of an urban neighborhood. After a prank goes awry, two young men get beaten and killed by three psychotic armed thugs. The group that inflicted the prank realize too late that they’ve come across a lethal and dangerous group of kidnappers, many of whom are taking tourists and locals hostage for nefarious purposes. 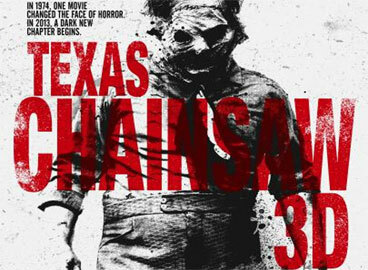 I’ve always had this idea that the sequels to Tobe Hooper’s “Texas Chainsaw Massacre” were just glorified remakes of the first film. While it’s true they’re all very similar, filmmakers didn’t start to remake Hooper’s horror film until “The Next Generation.” The Hooper fueled sequel, and “Leatherface” are different films from the first film with finales that are in fact nearly identical to the end of the first film. It’s almost as if the writers never really know where to go once they’ve had their fun, and just go back to the whole dinner scene where the heroine screams bloody murder for thirty minutes. 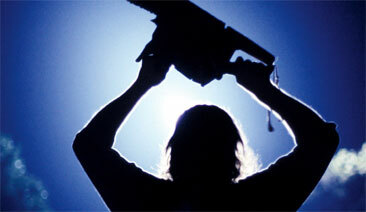 Wherein the second film in the series had poorly developed story, “Leatherface” really has little story.